The pendulum of the development at the global level moves to the extent of collaborative work between government, society and third parties. Today, in Indonesia a collaboration model is also implemented with the aim of presenting long-standing welfare in coastal areas. The poverty that surrounds coastal communities is an anomaly in the midst of the abundance of wealth stored in the sea of Indonesia. The Regional Government of Tangerang Regency encourages to collaborate with external parties to resolve the troubles. This article tries to use the modified Triple-Helix model as an analytical framework, which is useful for knowing the role of actors involved in creating development innovation. This study uses qualitative methods to see and find out how political, social, and academic actors interact and integrate into overcoming public problems that arise from the perspective of collaborative governance. The findings of the study found, first, collaborative work is useful to improve governance, second, to provide opportunities for actors to find effective solutions, and thirdly, to increase trust between government and citizens. This article argues that the success of collaborative work depends on the synergy between actors and the extent to which each program can demonstrate its sustainability. Akbar, R., Pilcher, R., & Perrin, B. (2012). Performance measurement in Indonesia: the case of local government. Pacific Accounting Review, 24(3), 262291. Amanah, S., & Farmayanti, N. (2014). Pemberdayaan sosial petani-nelayan, keunikan agroekosistem, dan daya saing. Yayasan Pustaka Obor Indonesia. Arnstein, S. R. (1969). A ladder of citizen participation. Journal of the American Institute of Planners, 35(4), 216224. Bostock, J., McAndrew, B., Richards, R., Jauncey, K., Telfer, T., Lorenzen, K., Gatward, I. (2010). Aquaculture: global status and trends. Philosophical Transactions of the Royal Society of London B: Biological Sciences, 365(1554), 28972912. Dahuri, R. (2003). Keanekaragaman hayati laut: aset pembangunan berkelanjutan Indonesia. Gramedia Pustaka Utama. Dahuri, R., & Dutton, I. M. (2000). Integrated coastal and marine management enters a new era in Indonesia. Integrated Coastal Zone Management, 1(1), 116. Etzkowitz, H., & Leydesdorff, L. (2000). The dynamics of innovation: from National Systems and Mode 2 to a Triple Helix of universityindustry-government relations. Research Policy, 29(2), 109123. Evans, P. (1996). Government action, social capital and development: reviewing the evidence on synergy. World Development, 24(6), 11191132. Farinha, L., & Ferreira, J. J. (2013). Triangulation of the triple helix: a conceptual framework. Triple Helix Association, Working Paper, 1. Friedmann, J. (1987). From social to Political Power: Collective Self-Empowerment and Social Change. Graduate School of Architecture and Urban Planning, University of California, Los Angeles. Fukuyama, F. (2001). Social capital, civil society and development. Third World Quarterly, 22(1), 720. Gazley, B. (2010). Linking collaborative capacity to performance measurement in government-nonprofit partnerships. Nonprofit and Voluntary Sector Quarterly, 39(4), 653673. Irvin, R. A., & Stansbury, J. (2004). Citizen participation in decision making: is it worth the effort? Public Administration Review, 64(1), 5565. Jentoft, S., & Chuenpagdee, R. (2015). Interactive governance for small-scale fisheries. Global Reflections. Dordrecht, MA: Springer. Johnson, W. H. (2008). Roles, resources and benefits of intermediate organizations supporting triple helix collaborative R&D: The case of Precarn. Technovation, 28(8), 495505. Koontz, T. M. (2006). Collaboration for sustainability? A framework for analyzing government impacts in collaborative-environmental management. Sustainability: Science, Practice and Policy, 2(1), 1524. Krueger, A. O. (1990). Government failures in development. Journal of Economic Perspectives, 4(3), 923. Leydesdorff, L., & Etzkowitz, H. (1996). Emergence of a Triple Helix of universityindustrygovernment relations. Science and Public Policy, 23(5), 279286. Martini, L., Tjakraatmadja, J. H., Anggoro, Y., Pritasari, A., & Hutapea, L. (2012). Triple Helix collaboration to develop economic corridors as knowledge hub in Indonesia. Procedia-Social and Behavioral Sciences, 52, 130139. PKSPL IPB. (2013). Final Report Gerbang Mapan. Kabupaten Tangerang: Pemerintah KAbupaten Tangerang. Rappaport, J. (1987). Terms of empowerment/exemplars of prevention: Toward a theory for community psychology. American Journal of Community Psychology, 15(2), 121148. Rho, W.-J. (2014). Triple Helix for Social Innovation: The Saemaul Undong for Eradicating Poverty. Journal of Contemporary Eastern Asia, 13(1). Rudyanto, A. (2004). Kerangka Kerjasama dalam Pengelolaan Sumberdaya Pesisir dan Laut. 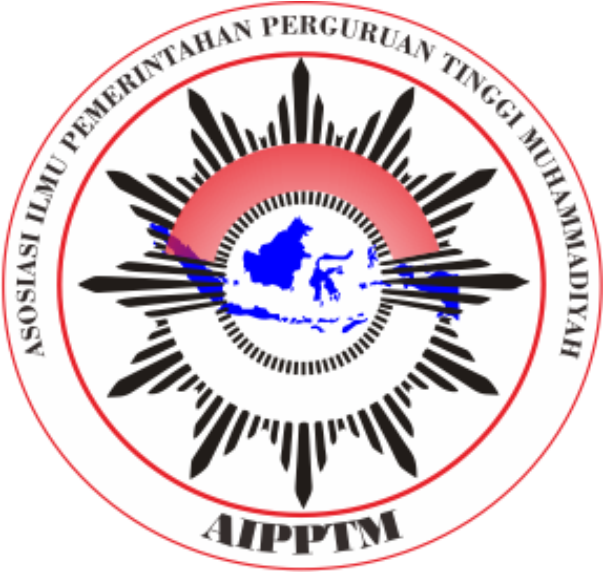 Makalah Disampaikan Pada Sosialisasi Nasional Program MFCDP, 22. Sadan, E. (1997). Developing a theory of empowerment. E. Sadan, Empowerment and Community Planning: Theory and Practice of People-Focused Social Solutions, 137168. Stiglitz, J. E. (2002). Towards a new paradigm for development: strategies, policies and processes. Suhendra, K., & Kadmasasmita, A. D. (2006). Peranan Birokrasi dalam Pemberdayaan Masyarakat. Alfabeta. Ting, K.-H., Lin, K.-L., Jhan, H.-T., Huang, T.-J., Wang, C.-M., & Liu, W.-H. (2015). Application of a sustainable fisheries development indicator system for Taiwans aquaculture industry. Aquaculture, 437, 398407. Warm, D. (2011). Local government collaboration for a new decade: Risk, trust, and effectiveness. State and Local Government Review, 43(1), 6065. Wellbrock, W., Roep, D., & Wiskerke, J. (2012). An integrated perspective on rural regional learning. European Countryside, 4(1), 116. Zimmerman, M. A., & Rappaport, J. (1988). Citizen participation, perceived control, and psychological empowerment. American Journal of Community Psychology, 16(5), 725750.